Working on a case study is more difficult than writing an essay. Creating a standard paper, you have a standard routine to follow and the ability to use your fantasy to increase the final volume, without making extra research. Case study limits you to solving a particular problem and there should be no place for ambiguity when it comes to the solution. 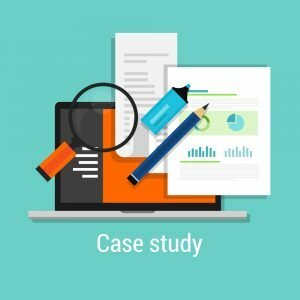 Here are some tips on writing a case study which might help you cope with this task at the demanded level. Step 1. Choose the most up-to-date and relevant case study. Professors often offer students to find a case study themselves, and it is not because they are lazy to task you with a specific one. Your teacher wants to see how good and precise you are when it comes to searching for the actual and exciting information. Note! When you are looking for a case study online, remember that it is not obligatory named or signed this way. If you are looking for material for your Marketing course, check on the latest winners of the Cannes Lions Awards or similar contests. If you are dealing with your Business course homework, pay attention to the recent drops and successes on the stock market. Don’t trust Google on telling you that something is an excellent case study, find it on your own. Step 2. Prepare a catchy title. If you want to attract reader’s attention at once, you should think about a sound title. Of course, your teacher will read it anyway, even if you don’t give it a title at all, but is essential to make a good first impression. It is useful to make a brief but catchy title which carries the ideas and the purpose of the research in itself. Note! Approach your title as not an academic, but rather a non-fiction title. Open Amazon Kindle books, nonfiction section, and pay attention to the bestsellers’ titles. Step 3. Research the problem in detail. To investigate the topic suggested for the case study you should collect relevant data. You have to look through the reliable, up-to-date sources which can reveal the weak points of the problem and broaden your knowledge on the topic. It is important to know the reason for the case, so look for the information which can be helpful in the solution of this question. Then, study the effect and the consequences of the problem analyzing the facts which you manage to find. Note! All this might sound horrifying, but in reality, it is much easier and engaging. Imagine that this problem is something that relates to you personally and try to find where it comes from and where it can lead. By the way, a case study might not be about problem-solving, it can also be about finding positive patterns. Step 4. Suggest a solution or draw a perspective. The aim of a case study is not just the presentation of the problem but the introduction of the ways and methods of its solution. Introduce as many methods and techniques as possible to show your professional skills and background knowledge. If your case study doesn’t depict a problem but rather shows a positive outcome or precedent, elaborate on how this experience can be extrapolated. If you manage to find a good solution, the paper will probably be marked as the successful one. Note! Though it is said that you should find a solution, sometimes it is enough to give your perspective on the variety of approaches to the situation. Some case studies can’t be completely solved, especially when it comes to courses like Psychology, History, etc. Your purpose here is to show your deep understanding and the outcomes of the rigorous research, which helped you to determine the approaches potentially solving the issue. Step 5. Summarize the case study. In the end, you should prepare a smart conclusion and share the difficulties of the writing process with the readers. Furthermore, you should focus on the importance and value of the research and the success of the group, which participated in the research, if it was a group project. Note! Drawing correlations with similar case studies will benefit your paper greatly. Don’t lose this opportunity to increase your overall grade. The best advice we can give you here is to wrap your mind around the case study you are working on and find the way to take it personally. Applying this approach, you will be much more interested in the outcomes. ©2008-2013 PapersMart.net. All Rights Reserved.